It never matters what you name this type of learning. It only matters that it occurs! Several times this year, I have turned over the "keys of the classroom" to the students. Each time, I am proud of how the students have responded and took ownership of the learning. It is a messy type of learning. One in which you leave the school absolutely EXHAUSTED! But, the outcomes are so cool! When we explored space, students were able to "Pitch Your Project", which is a version of this learning. The science that we are doing now is another spin on this idea. I'd like to share the work flow for this and highlight some of the learning that I have done. I also have some interesting student projects/results to share. First, I brainstormed with students what some possible starting points could be for the Interest Driven Learning. My question was, "Looking around the room (and thinking beyond), what else do you want to explore? Is there something that you would like to revisit, or something completely new?" Students came up with a list. Observations- This is a great way to see student problem solving and group skills. I have used these materials in the past and LOVE the way students divide up talents. The creativity with designing challenges is always exciting to see too! Students are exploring sequencing and programs along with mathmatics/measuring. Just very solid activity and materials and engagement! 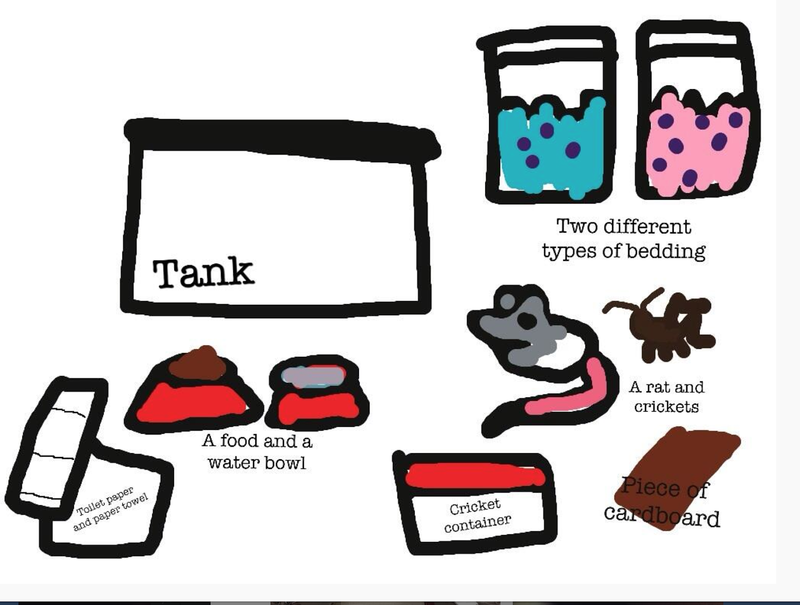 Students were given the guidelines for developing investigations that we used from our Ants In Space research. But, more exciting than those were the outliers...the kids that truly had an interest driving the learning. I have a student measuring the time frame of melting ice based on mass of ice. I have a student testing various insects and worms reactions to light. I have a student that is working with her rat from home and changing variable to see response. This type of learning is awesome! I cannot wait to share those final Keynote projects. The results are full of science, math, art, and more! I didn't realize how many students were still thinking of our Stone Lab trip from September, but many student chose to revisit concepts that related back to that experience. 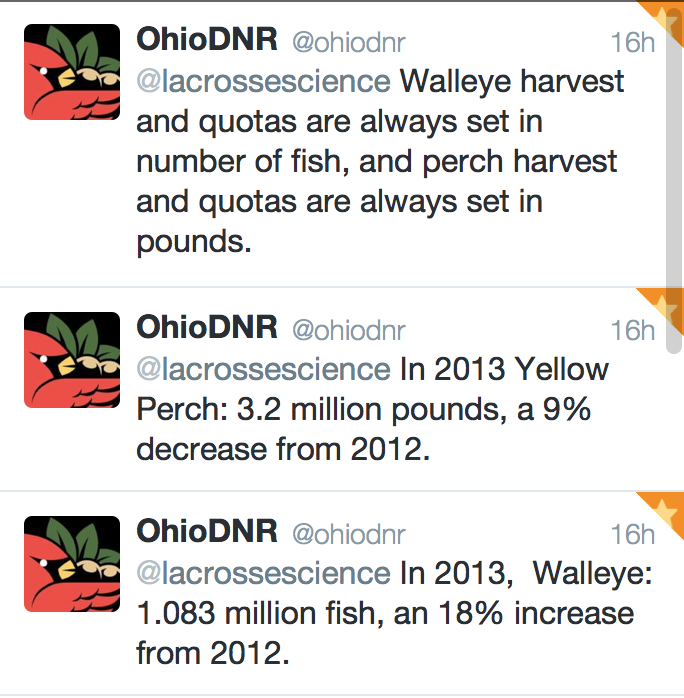 Studying fish and bird migration and ichthyology as a field in science is huge in this area! We are jumping back into our Adventures at Stone Lab book that we created and reaching out to Ohio Department of Natural Resources on Twitter. Given the prompt to create 5-10 guiding questions, students are completely absorbed in their research! This book has been read in my homeroom classroom with our third grade reading partners. Students that didn't get a chance to read it at that time were given the option to dive into it now. Students begin by reading the book and organizing the details with the app, Tools4Students. Using the graphic organizers there, they outline the big ideas within the story. 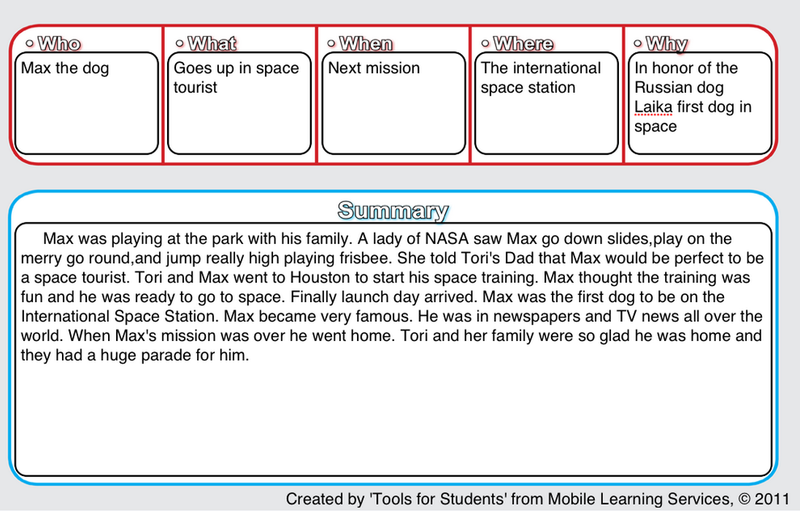 Then, they will work in teams to create a "news story" about Max visiting the International Space Station! I cannot wait to watch that! Wow, wow, wow! This is one of my favorites that students developed. We brainstormed this one from a NASA poster that I received at a workshop. The poster showed student artwork based on NASA images of the moon. When I hung the poster up in the classroom, it triggered the idea for using the Windows on Earth resource! After chatting with students, it was decided that they would LOVE to dive into the site and select their favorite images taken from the International Space Station and recreate them in artwork. So, they are using watercolors, chalk, poster paint, colored pencils, crayons, glitter, and more to bring these images into another view! Beautiful and fun! We also are lucky enough to have a Skype call set up with Dan Barstow for follow up questions next week. This is a total spin off on my Science in the Picture activity that we do in class. I give students an image to look at and tell me the science that they see in the picture. It could be just a random photo that I took that could have various life, physical, earth and space concepts more obvious in it. I am always amazed at what science my students see in photography. As I tell them, once you SEE science around you...you can't UNSEE it! So, students used their iPads to find images around them that they see science in. 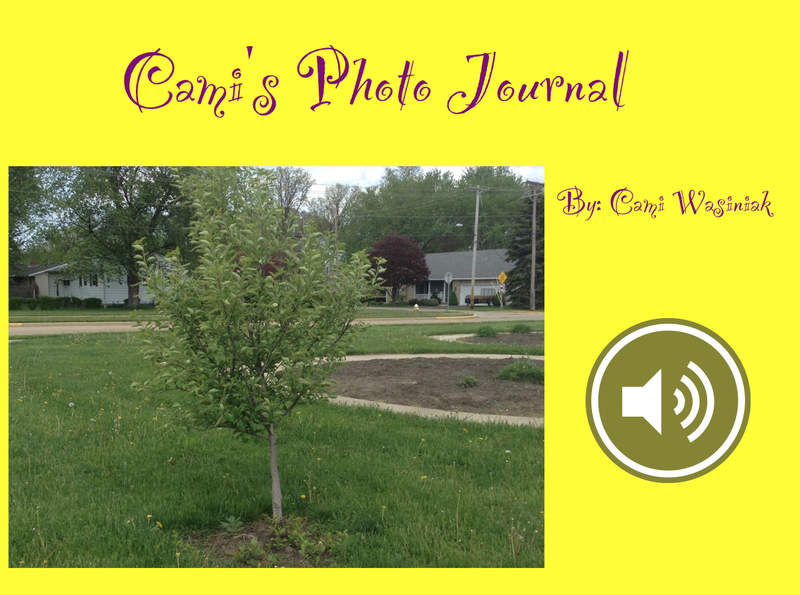 Students use the images in Book Creator to write about them. These books are now being uploaded to iTunes, and I am so excited for my student authors. I will be tweeting out the links when they are ready like crazy! This is very similar to the PhotoJournal project. The students still capture images, but they are looking at them with the eyes of an engineer! So, they are trying to see how could the objects be improved in design to work more efficiently or be more aesthetically pleasing. Students are doing a great job here! 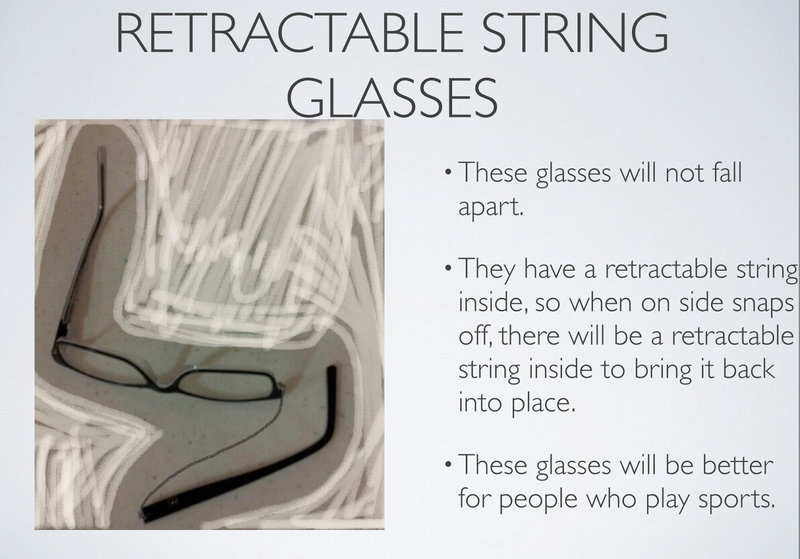 They are reimagining everything from eye glasses that need a little extra flexibility to desks, chairs, headphones, and more! They are pulling the image into Drawing Pad app to design the object to work better. I have a student that re-engineered scissors to work better for students that struggle with hand strength. Very practical. With 115 students and such variety in projects, material needs, and learning speeds, there are some management concerns! What do I do about students who finish early? There is a lot of peer editing and reviews occurring. I am trying to stay strong with the concept of "Ask 3, then me." Eventually, this will need to be addressed. There will be a few students who just need a little more time to work, and the rest of the class will be moving on. What do you do about students who are not finding the INTEREST in the Interest Driven Learning? Well, I gave them the keys, they knew HOW to drive, and if they aren't working well, I take the keys back! I have one student (out of 115) that has had the driving privileges revoked. This student is now on a teacher directed plan. Sometimes behaviors cannot be changed...unfortunately. How will you assess all this? Many ways. I give classwork points for work habits. I ask students to write reflectively in their blogs about the process. And, I will grade the final work product based on a rubric. Students will have time to share with each other, either as a whole class or in groups. For me, this has been a great way to watch students and reflect on their growth throughout the year. Entering my room at the beginning of the year, I had students who have a love and interest for science. They are curious and want answers! They are impatient at times and unwilling to read or stay focused long enough to get answers. They are frustrated when I say, "What do you think?" They are afraid of being wrong. They only celebrate the "right" answer. If I don't do anything else in science, I want them to see that they can have the keys. They can direct the learning. They can be curious and want answers. But, they better be ready to work for them! They need to control frustration, celebrate failures, and start with their own ideas. Science is a way of living. It is looking around the world around you and wondering, wanting to preserve, wanting to improve, and wanting answers. 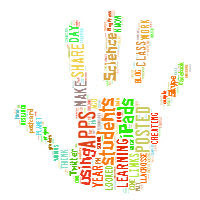 Maybe if we keep giving the kids the keys, let them drive the learning, we can develop those learners. I'm sure they will have fender benders now and then...I'm ok with that. "They are in good hands."